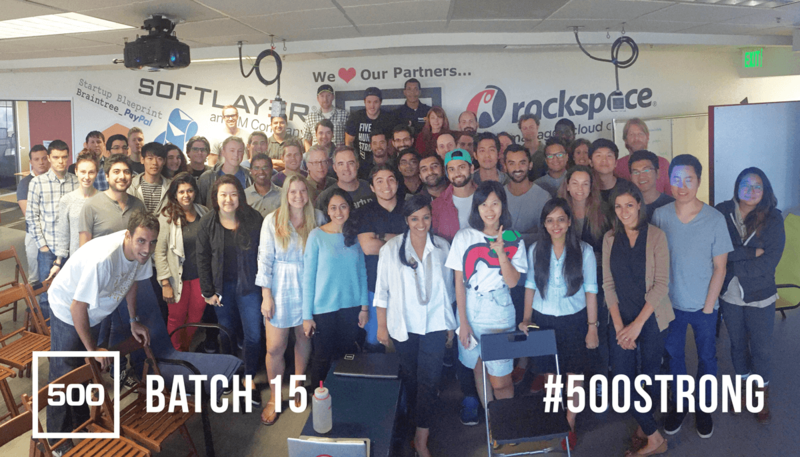 Today, 500 Startups hosts their Demo Day for Batch 15 in Mountain View. The companies will be pitching their products to an audience of VCs, Angel Investors, and decision makers at large tech companies, in hopes of closing their next round of funding. We ranked this batch of 500 Startups companies and found the following 10 with the highest Mattermark Growth Score. CodeUpStart lets you learn how to code by recreating real apps like Kickstarter and Instagram from zero to launch. Mattermark Growth Score: 1,191. Beeketing is a marketing app platform that helps to increase sales and conversion rate for your online store automatically. Mattermark Growth Score: 670. Fulfil.io enables retailers to always know their inventory, whether selling online or offline. Mattermark Growth Score: 415. SimpliRoute allows you to optimize your delivery routes in seconds with its cloud software engine. Mattermark Growth Score: 395. Lawtrades gives you instant access to 100’s of legal services from attorneys who love what they do. Mattermark Growth Score: 364. #Links is The Tinder for business. #Links is the IOS app to disrupt the way business people meet and network. Mattermark Growth Score: 356. Sqoop is a news discovery service for reporters to access and set alerts for public data sources like the SEC, Patent Office, PACER, and soon others. Mattermark Growth Score: 313. Mahmee provides personalized, ongoing postpartum support to new moms and their babies, from birth to birthday. Mattermark Growth Score: 244. Barn & Willow provides vertically integrated home decor brand making custom-made window treatments effortless and accessible. Mattermark Growth Score: 210. HiveBeat is the easy way for organizations to manage memberships and events – and get paid for both. Mattermark Growth Score: 198.